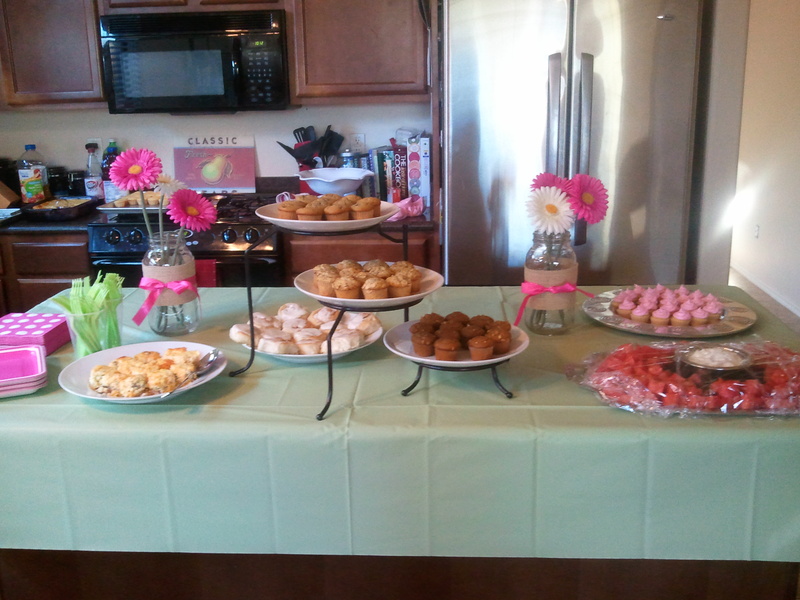 It was my honor to throw a baby shower for a friend this weekend. She is having a baby girl! Ah, my favorite! I love my baby boy, but there is something about a baby girl that makes my heart smile! All that pink and all those ladybugs, flowers, butterflies, and glitter! Yes! I wanted to keep it simple, yet girly. I had so much fun scanning Pinterest and planning for this party, that I wanted to share it with you! 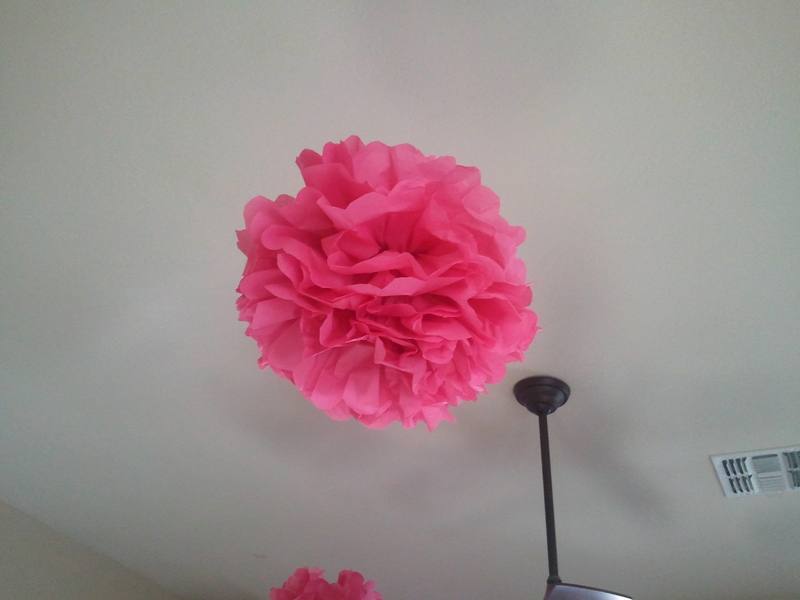 I am seeing these pom poms all over the place and love them! Thank you Martha Steward for your easy tutorial! Go HERE if you want to make some, too! I hung 6 of them from our ceiling, and they added such flare and happy girl vibes, that I was sad to take them down. 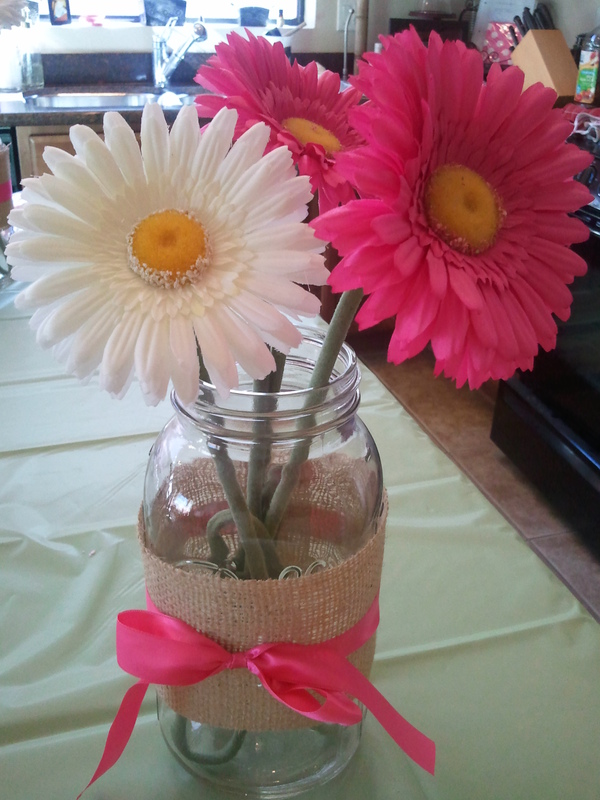 For the table decor, I chose to use simple pink and white gerbera flowers dispursed thoroughout the house in decorated mason jars. So easy! I bought the large mason jars at my grocery store and wrapped a piece of burlap around them (hot glued the ends together). Then I tied a satin ribbon around the burlap. So, I wanted to do something different for the outside of the house. 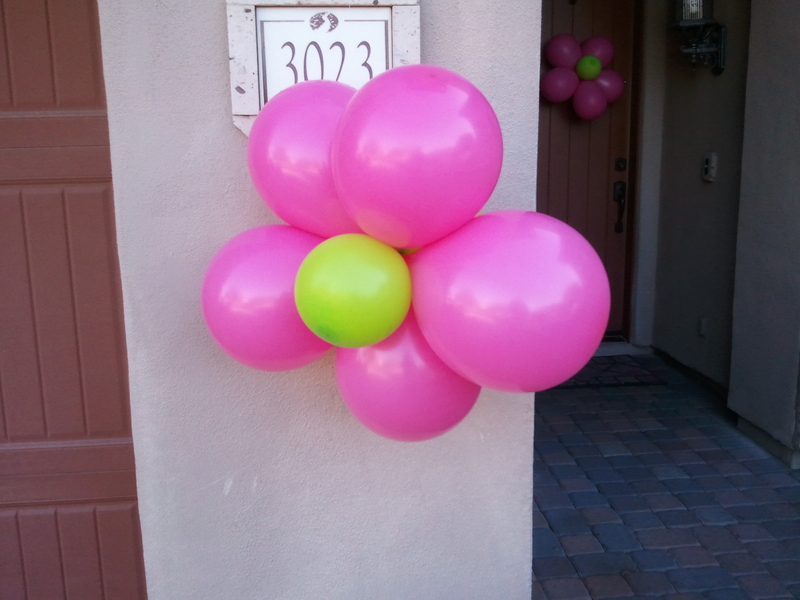 Ya know, people usually just get a bunch of pink balloons and tie them up out front? I am fine with balloons, but wanted to try something different. Wow, check these out!! They are ballon flowers! Go HERE if you want to make them, too! Found these babies on Pinterest. Cheap, easy and dang cute! It was really windy the day of the shower (of course!) and so it was hard to capture a good picture. 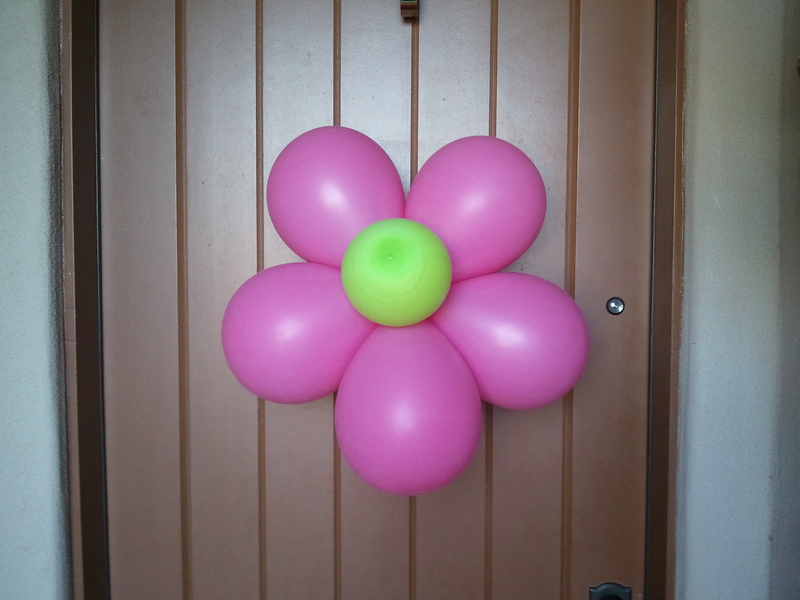 I put one flower balloon on my front door and 2 out front on either side of the garage. It was a cute way to let people know where the party was! !